In this interview about adopting shelter dogs, you'll learn about the personal rewards that come from rescuing a homeless pet. You'll also learn how to integrate an adopted dog into your house, your heart, and your life. Diane Pomerance, Ph.D, is the author of a series of pet books including Animal Companions: In Our Hearts, Our Lives and Our World as well as Animal Elders: Caring About Our Aging Animal Companions and Our Rescue Dog Family Album. 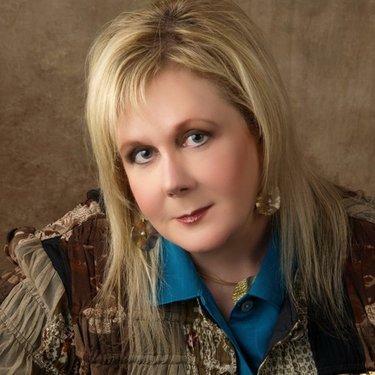 She also volunteers with the SPCA of Texas as well as Visting Therapy Dogs of GTDOG. LoveToKnow (LTK): Diane, how did you get involved working with shelter dogs? Diane Pomerance (DP): I became involved with rescue dogs long before "shelter" dogs, per se. My husband and I have been rescuing dogs, cats and other animals for as long as I can remember. We would find strays or injured animals, have them vetted and find homes for them wherever we lived and even when we were on vacation. Sometimes, if we were able, we adopted a dog or cat in need. 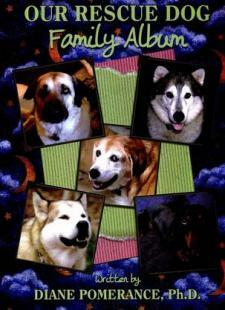 I became directly involved with adopting shelter dogs after my Alaskan Malamute/Lab mix, Caesar, died in 1998. Caesar's life and death transformed me. I grieved his loss and mourned his death so deeply that I was inspired to become a Grief Recovery Specialist. I created the Pet Grief Counseling Program for the SPCA of Texas to help people who were mourning the loss of a beloved animal companion. I was also inspired to write When Your Pet Dies. As a volunteer for the SPCA of Texas, I was in constant contact with abandoned, neglected and abused animals and, of course, adopted quite a few who were in need. LTK: What are some advantages to adopting a dog rather than buying one? DP: There are so many advantages to adopting a dog rather than buying one. First and foremost, adopting a dog affords us the opportunity to save the life of one in need. Secondly, to provide a loving home and care for animals that have suffered (in so many cases) is a privilege. Their gratitude is reward enough, but these dogs also give us unconditional love, loyalty, friendship and companionship. LTK: Are there any common problems that prospective adopters should be aware of? If so, how can they prepare for them? DP: There are some problems the potential adopter of a shelter or rescue animal may encounter. These issues will depend on the amount of suffering, abuse and trauma they have experienced and the extent of the hardships they have endured. Some dogs come from puppy mills and have never experienced life outside a cage or crate. Others are the inadvertent victims of irreputable and greedy backyard breeders. Others have been someone's beloved family members and have been surrendered to an animal shelter or welfare organization because of reasons (i.e. divorce, death, relocation, and so on) that we may never know or understand. Others may have escaped from a home or yard. Shyness around people, fear, insecurity and a lack of trust are issues for many shelter dogs. These can be overcome with TLC on the part of the adopter. LTK: What should people know if they are considering buying a puppy from a pet shop? DP: People need to find out as much about the pet they are thinking of purchasing as they can - including ancestry, breed standards, health status and the origin of the particular animal. From where/who did the pet shop acquire it? The animal may have been purchased from a puppy mill and may have potential health and behavioral issues. LTK: What are some challenges you've personally faced when bringing a shelter dog into your home, and how did you overcome them? DP: Before bringing home a shelter or rescue animal, I generally find out as much about the animal as I possibly can. I talk to the shelter staff and volunteers to determine the animal's overall health and personality. One of the wonderful aspects of adopting an animal from a rescue organization is that the animals they take in (are) adoptable. They are examined by veterinarians, vaccinated and very often spayed or neutered. These organizations rarely adopt out an animal that cannot find a "forever" home because of health or behavioral issues. Those animals that are not regarded as adoptable are euthanized. LTK: You and your family have adopted a considerable number of dogs through the years. What are the key issues usually encountered when acclimating a new dog into the current household pack, and how do you deal with them. DP: My husband and I have adopted over 40 rescue dogs in recent years. Love, respect and appreciation of them are the vital ingredients we provide in order to make them feel welcome, safe and comfortable. I introduce each new dog to the other members of his or her pack one by one on neutral ground, and each dog is on a leash. I allow them to familiarize them with one another. After the dogs have been introduced, I bring the new dog into our backyard, again on a leash, and have him/her re-meet each of our other dogs (also on a leash). I speak to each of them in soft, comforting tones, and I walk them together in our yard. I then gradually (still with a leash on) allow them to play or interact. My husband or close friends in rescue often accompany me during the initial introduction. I can usually quickly detect if there is any aggressive behavior. Generally, if a person behaves fairly and respectfully toward an animal, that animal senses that he is safe and protected. I often crate a new dog for a while as he sleeps or eats, and I may walk him on a leash for several weeks when we go out with the others so that I can keep a close eye on any potential problems. LTK: You also help place shelter dogs in new homes. Tell us what you look for when interviewing a prospective adopter. DP: As an adoption counselor, I look for as much personal history and background of the potential adopter as possible. I ask if he has owned other pets and for how long. If they are deceased, I ask how they died. Is the pet going to be indoors or kept outdoors? Are there young children in the family? Does the adopter have space, time, attention and budget (for food, regular veterinary care, leash, collar, toys. etc.) to take proper care of a dog or other pet? If possible, a home check is conducted to ensure how many hours a day the potential adopter is away from home. Doe he/she travel frequently? Is the potential adopter able to accommodate the needs of a pet, and does he have an adequately fenced-in yard so that the animal cannot escape? Is he willing to spend time walking the dog at least several times each day? References are required and checked, as are the contact numbers of previous veterinarians, if applicable. LTK: Tell us about your book, Our Rescue Dog Family Album. DP: Our Rescue Dog Family Album is my most recent book. I have written six others about our animal companions called The Animal Companions Series. The new book features descriptions as well as color photos and the uplifting and heartwarming stories of the 42 dogs my husband and I have rescued and personally adopted through the past decades and who have become members of our seemingly ever-expanding family. The gifts they have brought us are immeasurable; the life lessons they have taught us are invaluable. Our Rescue Dog Family Album is my homage to the wonderful dogs with whom I have shared my life. LTK: Would you share one or two of your successful adoption stories? DP: Maximus was almost eleven years old when we adopted him. He had been the product of a bitter divorce custody battle. Max was an Anatolian Shepherd that, prior to the divorce, had been the congenial family pet and "couch potato". Seeking revenge on his family, Max's human father took custody of him to hurt his wife. He kept the 100 plus pound dog locked in a gardening shed for four years with minimal food, water, human contact or exercise. Dad told his family that the dog had died, but when he broke up with his girlfriend, she informed the family that Max was still alive. The family's daughter recovered Max from heartbreaking circumstances and rehabilitated him as much as she could. As a student living in an apartment, she could not keep the old boy. We adopted him, and he became not only a wonderful and beloved family member, but also an extraordinary therapy dog who visited and brought joy to patients in hospitals, people in retirement homes and assisted living centers. He also worked with special needs children and adults until his death at almost fourteen years old. No one who knew Max would ever forget him. There is no one who met him who did not immediately fall in love with him. LoveToKnow would like to thank Diane Pomerance for sharing her expertise about dog adoption in this interview. Hopefully many readers will feel inspired to give serious consideration to adopting a shelter dog in need.